dopl3r.com - Memes - Teacher ok you guys ready for the test? Me How could anybody be ready for this? 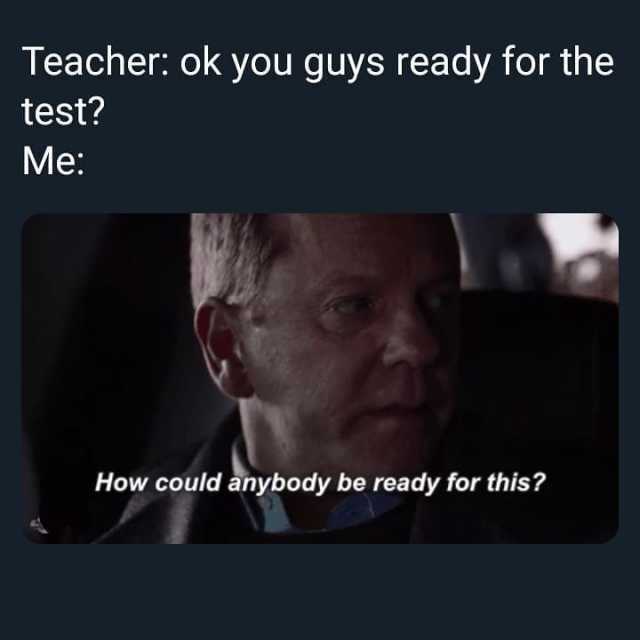 Teacher ok you guys ready for the test? Me How could anybody be ready for this?